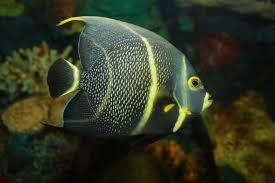 The Queen Angelfish is a moderately difficult fish to keep and not recommended for beginners. It is native to the Western Atlantic and the Caribbean. 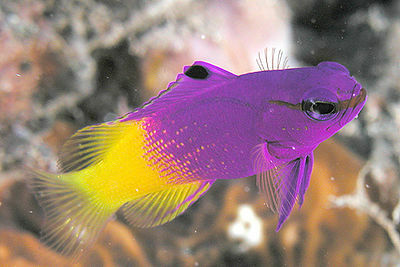 This fish spends most of its time out in the open and is awake during the day and rests at night. Males and females are both 18 in. 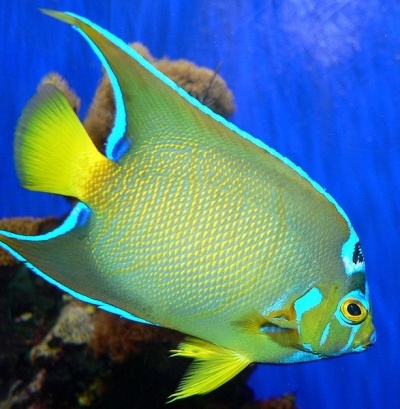 Other angelfish may be aggressive towards the queen, but it attempts to divert attention by cleaning. It will be aggressive to new inhabitants of the tank, so it is best to introduce it last. Tank size is a minimum of 200 gal. The tank should have ample swimming room, lots of places to hide, live rock and natural algae growth. Queen Angelfish will also appreciate coral skeletons. Due to its aggressiveness, don’t keep more than one in an aquarium. Queen Angelfish eat sponges in the wild. In captivity, they eat meaty foods, algae and vegetables. They should be served algae every day, in the form of nori, spirulina, or fresh marine algae. Feed the fish small amounts several times a day. Smaller fish are usually easier to train to eat different foods. If your fish is not eating properly, try dimming the light during feeding time.